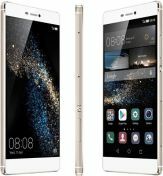 As the name suggests and design conveys apparently, Huawei P8 is a glorious successor to Huawei Ascend P7, although the company doesn’t seem to accept it. One who has used or even just seen this phone can assert without a quantum of doubt that the Huawei P8 follows the gorgeous Ascend P7 and the Ascend P6, and has even managed to refine that exterior. The metal case and slimy profile carry a premium feel. The Huawei P8 is quite an impressive package. The refined exterior of Huawei P8 is quite sturdy, which is a testament to Huawei, for being an expert in making some premium quality handsets. P8 offers fantastic build quality, and no compromises have been made in this department by Huawei. Let us dig deeper and find more about the premium looking Huawei P8. The design of the device is quite impeccable. P8 is all metal, having a slight texture to its matte finish which feels amazing to touch. It also provides enough traction for a firm grip. The device is slim as well. It measures 144.9 x 72.1 x 6.4 mm and weighs 144g. The P8 retains the Huawei’s signature flush design. 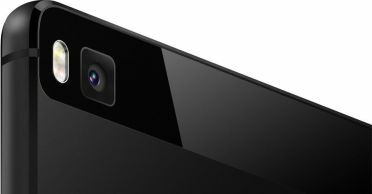 There is no camera bump on the back, and the device sits completely flat on any surface despite having a 13 MP camera with OIS. Huawei has made absolutely no compromises in their choice of materials department. They’ve given complete attention to details. The small glass panel at the back and on the display screen, both has Gorilla Glass 3 protection. There is no full glass on the back, which P8’s predecessor’s had, but the metal back feels more like an upgrade. The controls are quite easy to reach and are responsive. There are no capacitive buttons on the front, and the Huawei logo has been removed from underneath the screen. On top, there’s the earpiece beside the 8MP front camera, proximity sensor and light sensor. A small LED notification light is placed at the top right corner, which is invisible when off. On the left side, there is nothing. On the right, though, it has the volume rocker on top, after that a circular power key which is made up of metal. Below the button, you will find two separate card slots. One is for primary SIM, and the other one accepts second SIM and microSD card, whichever you want to use. On the top, there is a 3.5mm audio jack. At the bottom, there are two symmetric grills, but only one has a speaker behind it. The other grill has the microphone. The Huawei P8 is equipped with an IPS LCD panel, having a resolution of 1080 x 1920 pixels. The display size is 5.2 inch. It has a pixel density of 424 ppi. 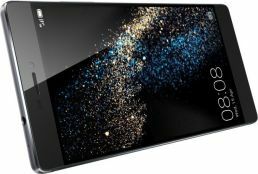 According to several tests, the phone is not quite up to the mark with the current generation of flagship devices, of the price range Huawei P8 belongs to. The CPU performance of P8 is wonderful. The eight core Cortex-A53 setup leaves its competitors in the dust. The benchmark results of P8 are quite impressive. The results are not top of the list but are better than most of the devices of same pricing and specs. The new EMU 3.1 based on Android 5.0, which is used in P8. It remains true to its style and has preserved the user experience intact. The performance of Huawei P8 is great. The Huawei P8 is a dual SIM phone, and the 5.2" screen is protected by Gorilla Glass 3. Under the hood, there’s Huawei HiSilicon Kirin 930 chipset, quad-core 2GHz Cortex-A53 & quad-core 1.5GHz Cortex-A53, Mali-T628 MP4 GPU, which is backed by 3GB of RAM. It has 16GB of built-in storage and has an optional microSD card slot, which could use for a second SIM. It has a 2600mAh, non-removable battery. The Huawei P8 has a 13MP primary camera, which has a maximum resolution of 4160 x 3120 pixels. It has a dual LED flash alongside it for low lighting images. The primary camera has f/2.0 aperture and uses an RGBW sensor. The camera app is very simple and clean. Besides the virtual shutter button, there are swipe controls which take you into the photo, all focus and video modes. You can activate the Burst mode by pressing the shutter button longer. There are several other features on the left side, such as HDR and Panorama. It has features like object tracking, smile shutter, touch to capture switch, geo-tagging on/off, ISO, white balance, and more. The picture quality is good for indoor and outdoor clicks. The video mode does decent 1080p recording, but there’s no 4k recording. The front facing 8MP camera is also good for selfies. The device is powered by a 2600mAh battery, which is non-removable. The endurance rating of this device is 64 hours, but you can rely on two days of average usage on a single charge. Huawei has made this device more power efficient, and the battery doesn’t get drained much by video playback as well. You can play nine and a half hours of videos on this device. For connectivity, this device features dual-SIM, with both SIM supporting 4G. For local connectivity, there are Wi-Fi 802.11 a/b/g/n, Wi-Fi Direct, DLNA, hotspot; Bluetooth v4.1, A2DP, LE; A-GPS, GLONASS/BDS (depends on market), NFC and FM Radio.